Which Is First, and Which Is Best? 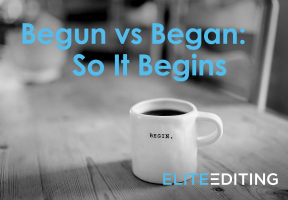 Our story of premiere vs. premier begins with this very first sentence—the premier sentence—and our goal of helping you become an expert on how to correctly use the words “premiere” and “premier.” We want you to become a premier grammarian on the subject! By the end of this post, you will not only understand premier vs. premiere but also be able to confidently choose the right word every time. So if you’re unsure of when to write “premier” or “premiere,” have no fear; we’re here to steer…you in the right direction. Many people confuse “premiere” and “premier” because both words refer to something being first. 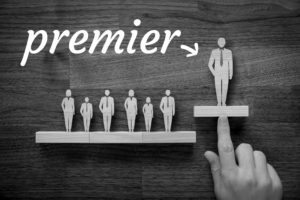 When someone or something is first in terms of position, time, rank, or importance, we say he/she/it is “premier.” They’re at the top of the chain, at the highest level. They’re at the front of the line. They lead in the succession. They sit at the head of the table. In other words, “premier” (with no e at the end) is considered to be a leader or to be “the best.” The gold standard. At the political gathering, she held the premier rank among government leaders. The soccer player has a dream of playing in the premier league one day. 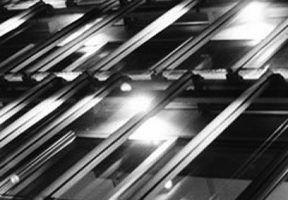 Elite Editing is the premier site on the topic of professional editing and proofreading services! It’s clear that the word “premier” refers to the top level or most desired state. And although it’s most often used as an adjective, as in the examples above, it is this context that also permits the word “premier” to be used as a formal noun when referencing a top political office. For instance, the prime minister may be called the premier or head of state. Fun fact: Did you know that both premiere and premier come to us from Old French and mean “first”? They are the masculine and feminine forms of the same adjective. French got it from the Latin word primarius, which is also the source of our English word “primary”—and means “first”! The word “premiere,” the one with that additional silent (yet critical) e at the end, is defined as the first occurrence of something. It refers to a debut. When a theater opens its doors for a movie premiere or a singer premieres new music at a concert, the audience is witnessing the first showing of that art. It is the first presentation to others. In fact, the word “premiere” is most often used in reference to new movies or TV shows. The actor walked down the red carpet at her Hollywood movie premiere. The band stepped on stage toward a sea of cheering fans at the premiere of their world tour. Millions of viewers tuned in to see the series premiere of Game of Thrones. Interestingly, the word “premiere,” with an e, is a relative newcomer in the history of modern English. It was first used to market the opening night of new films, and its usage grew steadily in the early 1900s, along with the rise of Hollywood and the film industry overall. It is now standard to see this word appear frequently throughout the performing arts industry. Words that are homophones can be difficult to remember because although they are different, they sound exactly the same—for example, “premier” is pronounced the same as “premiere.” Determining when to use “premier” or “premiere” is particularly challenging because they have very similar meanings and rely on the context of the sentence for differentiation. So, how can we tell them apart? An easy way to remember the difference between “premier” and “premiere” is to first recall that one of the words is clearly longer than the other. One has eight letters and a pesky little e at the end; the other has only seven letters. But that’s OK. The first time you learned how to do something new (such as tackle the premiere vs. premier debate), didn’t it take just a little bit longer until you gained experience? If you’ve never done something before, when you make your first attempt—when you premiere your new skill—you need a little more time. It is the same thing with premiere vs. premier! 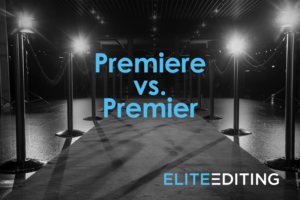 The word “premiere” (a debut) is longer than “premier” (an experienced elite). Can you come up with other fun examples? 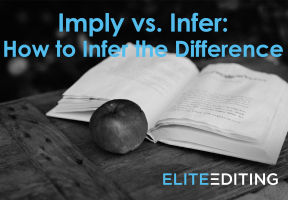 Want to discover the differences between other commonly used words? Check out our explanation of principle vs. principal and aid vs. aide.